Home Uncategorized Re: The futility of Dakuku’s Appointment- a treatise by Wike. Re: The futility of Dakuku’s Appointment- a treatise by Wike. We have read the above titled piece endorsed on behalf of Governor Nyesom Wike by his aide on Electronic Media one Simeon Nwakaudu. Our first reaction was to ignore the poorly written and misleading treatise but on a second thought, the need to put the records straight made this response imperative. First, it is common knowledge that Nwakaudu’s job may be at risk following the dissolution of the State Cabinet and the endless sacking of Political appointees by the Governor.The timing of the article clearly suggests that the author would have concocted these lies, half-truths and outright mischief as a smart way of warming his way back to the heart of his pay master. Even though we do not begrudge the author for desperately seeking to retain his job, we had expected him to do so decently.The fear of idleness should not lead him into concocting wild allegations against the impregnable reputation of Dr.Dakuku Adol Peterside, an acclaimed international figure. Being a media practitioner, the author cannot claim not to know that the reason Dr.Dakuku Peterside is a household name in Rivers State today is on account of his (Peterside’s) several achievements as Council Chairman, Commissioner for Works and Member of the House of Representatives.Records which scare Wike like Armageddon. Assuming his ignorance is pardoned for not knowing those facts which are ordinarily in the public domain, can the author also be forgiven if he feigns ignorance of the trail blazing achievements of Dr.Peterside since his appointment as the Director-general of NIMASA? • That as Commissioner for Works, Dr.Dakuku Peterside had more projects to his credit than the present Rivers State Government in terms of quality, viability and spread. It is important to remind the author and his master, Gov Wike that it was during Dr.Dakuku’s reign as Commissioner for Works that nearly all the major roads leading into and out of the state as well as the several internal roads across the LGAs, some of which Wike is resurfacing and inviting people to commission were initiated, designed and constructed. Nkpogu bridge, Rumuokwurusi – Eneka road,Rumuokwuta-Mgbuoba-Choba and Peter Odili- Abuloma- Akpajo Roads and flyover just to mention a few, are some of such projects. It is ironical that Wike is working hard to take credit for these and other projects through fanfare. In case the author and his master may have chosen to forget, we wish to further remind them it was same Dr Dakuku Peterside who initiated and supervised most of the roads constructed in Wike’s village, Rumuepirikom and LGA, Obio/Akpor. • That as a member, House of Representatives, Dr.Dakuku Peterside personally sponsored more local and over sea scholarships for the youths of Rivers state than the government headed by Governor Nyesom Wike.It is very sad to recall that Gov Nyesom Wike has the ignoble record of recalling Rivers youths studying abroad and disbanding the State’s Academic scholarships instituted by the Rotimi Amaechi government . Indeed, Wike’s hatred for education is the reason he has done everything humanly possible to destroy education in the state . Under Wike, the free Education policy and the model schools constructed by the immediate past administration have been abandoned for two years running, Governor Wike’s government has been unable to draw up clear-cut direction and policies on Education. We expected that he would have been bold enough to copy from Dr Peterside’s famous Roadmap to prosperity. • That as the Director-General of NIMASA, Dr. Dakuku Peterside’s achievements in the Maritime sector has brought honor and pride to Nigeria ,the reason for which the African Maritime Administrators Association unanimously elected him Chairman during its conference recently in Abuja, the first time Nigeria would occupy such position and host such strategic conference in more than 50 years. 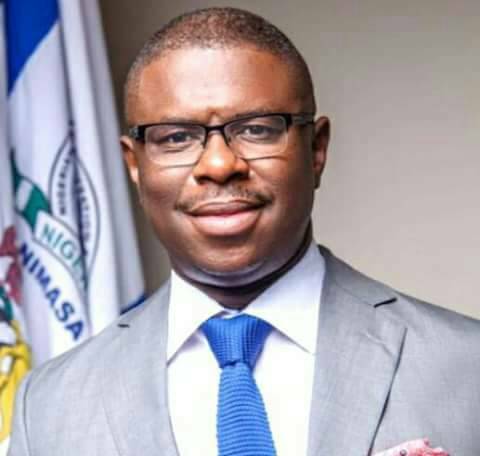 It is common knowledge that under Dr.Dakuku Peterside, NIMASA has distinguished itself in its primary responsibility of Port and Flag state control functions. By re-committing itself to the enforcement of the Cabotage regime, NIMASA has opened a vista of opportunities for Nigerians. The new NIMASA management has successfully moved away from the usual public perception as a corrupt agency into a world class Maritime regulator playing leading roles in putting in place a new maritime security architecture to secure Nigerian Waterways against Sea pirates and other criminal elements,a feat that was recently acknowledged by the Federal Government and other Maritime stakeholders. • That as D-G NIMASA, Dr.Dakuku Peterside does not move around with Naval personnel neither does he have a need to. A man like him who is at home amongst his people would not need Naval personnel to protect him. He is by far more popular and loved in Rivers state and across the country than a governor who has made it a duty to under develop the state by promoting insecurity, massive corruption and owing Pensioners and workers under the guise of unending biometrics. The fact of Dr Peterside’s acceptability in his home base is supported by the fact that his party,the APC has never lost elections in Opobo/Nkoro LGA since the abracadabra elections perpetuated by Gov.Wike and others in 2015 through Mrs Patience Jonathan. The loss of the LGA Assembly seat to the PDP at the Court of Appeal in very mysterious circumstances is a puzzle the Nigerian judiciary is yet to unravel. We challenge the author to show evidence on the contrary to these facts. • That describing the Buhari/Osinbajo led Federal Government as a failed Government smacks of his master’s mischievous nature.A character who only recently sought the Acting President, Prof.Osinbajo to commission some substandard, low-key projects to turn the around the next minute to disparage that same government fits exactly into Gov.Wike’s dubious nature as an ordinary con man who deceived the Chief Justice of Nigeria into flagging off construction on parcels of land being contested before a competent Court of Law. Our advice to Governor Nyesom Wike whom by all means appear confused is to set pride aside and consult Dr.Dakuku Adol Peterside on how best to tackle the massive insecurity, flooding, under development, unemployment, massive exodus of companies from Rivers state, financial secrecy and recklessness which have become the hallmarks of the state under his watch. Finally, we re-assure Rivers people in particular and Nigerians in general that their worthy Maritime Administrator, Dr.Dakuku Adol Peterside would continue to make them proud both at home and abroad through greater accomplishments and ingenious creativity, he is too focused to be distracted by the antics of the author and his pay masters.